We love grilled shrimp around here. We also love fresh, homemade salsa. 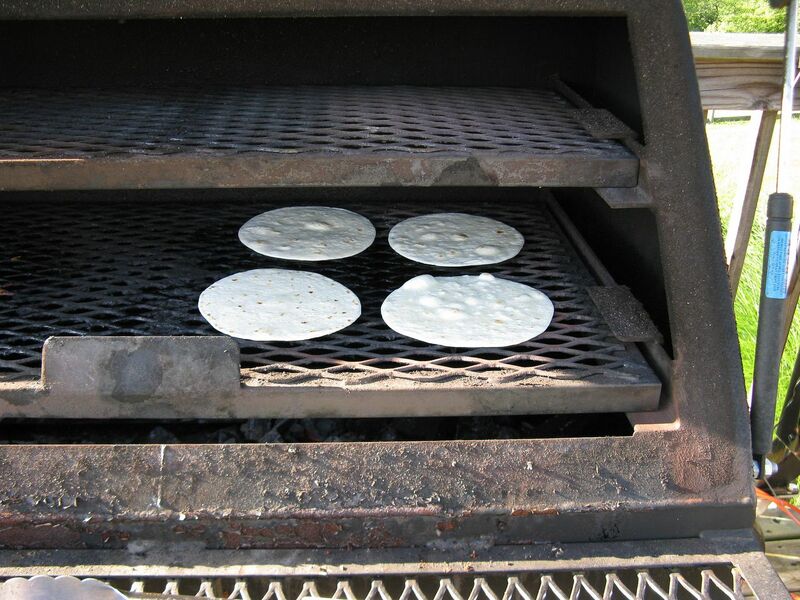 So, one lazy Sunday we decided to combine the two into a grilled taco. Then, I peeled, deveined, and cleaned some fresh 21/25 count shrimp. 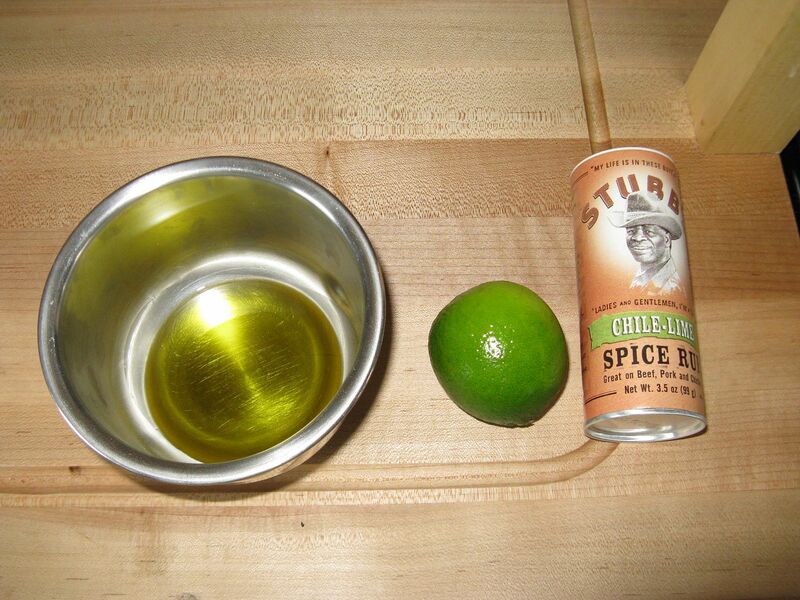 Once complete, I placed in the marinade for one hour. 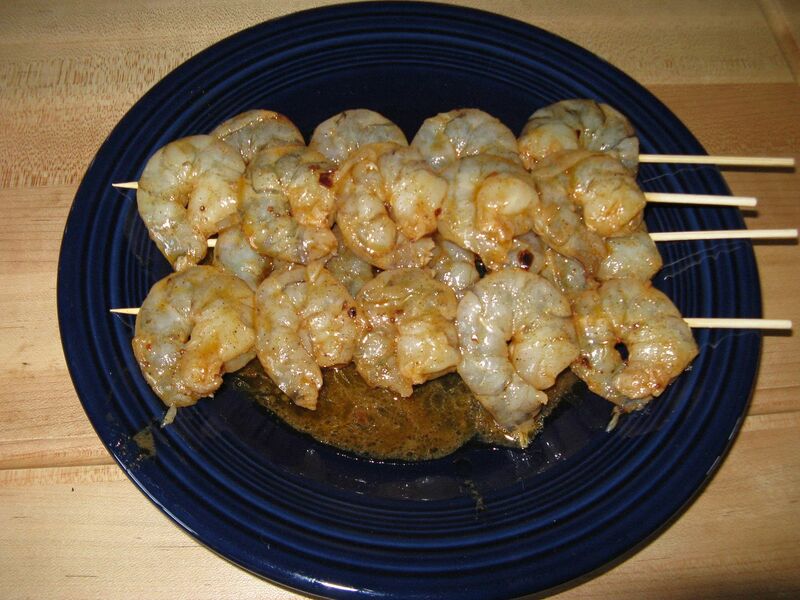 After the marinade time, I skewered the shrimp for the grill. The shrimp were placed over hot coals for 1 1/2 minutes a side. 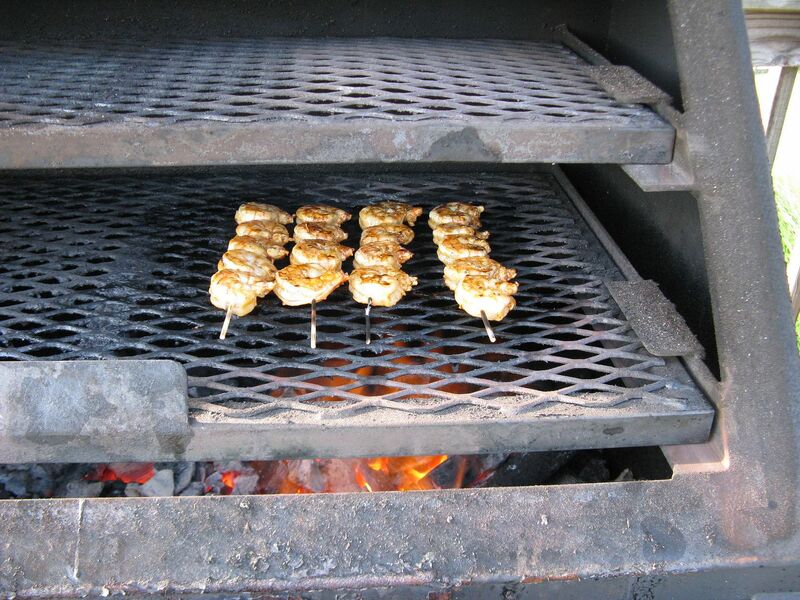 Once the cooking was complete, I placed the shrimp on the upper rack, away from the heat to keep them warm. 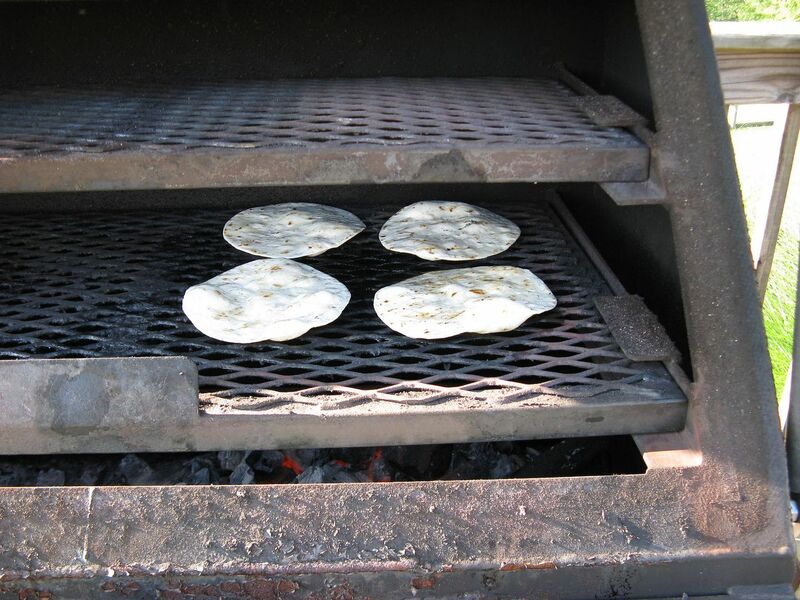 I then took some taco sized flour tortillas and grilled to slightly crisp on both sides. Then, the assembly begins. 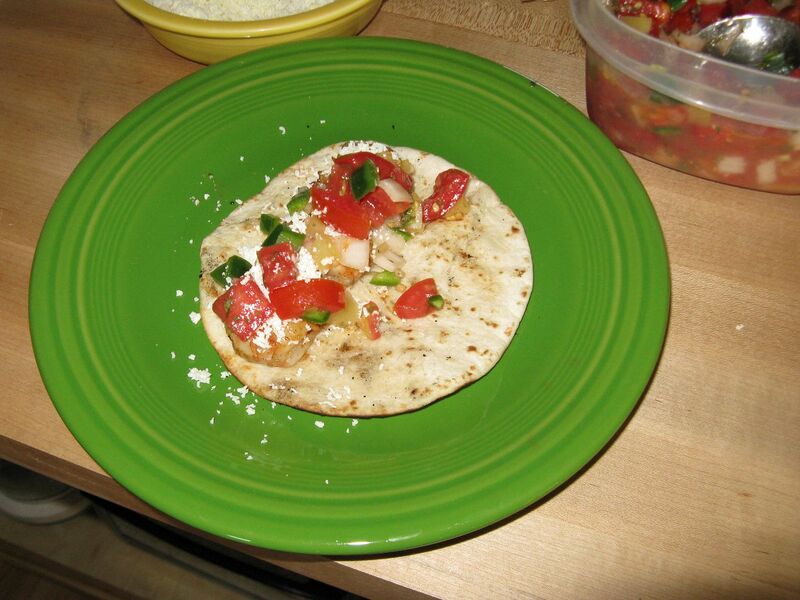 On each tortilla, I placed four of the grilled shrimp, followed by salsa, then a sprinkling of grated queso blanco. These shrimp tacos were outstanding. 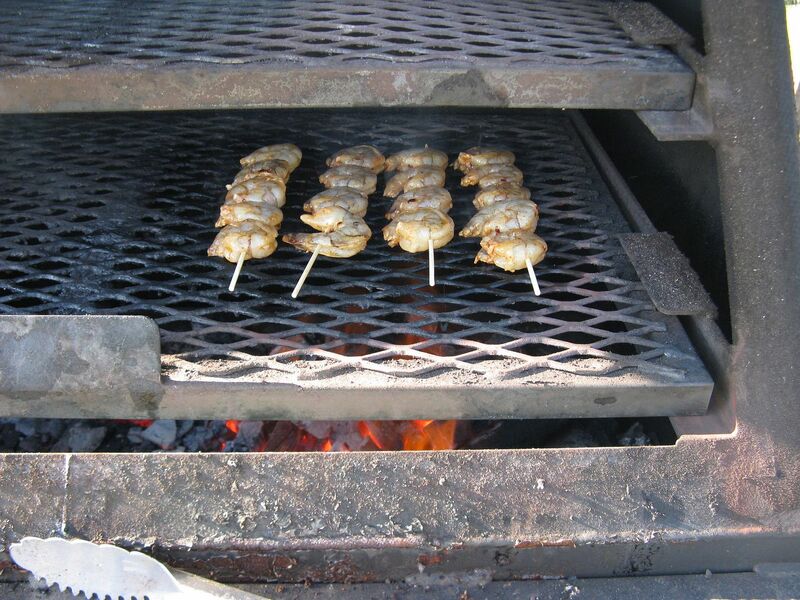 The shrimp was perfectly cooked with the grill taste adding a nice component to the over all flavor. 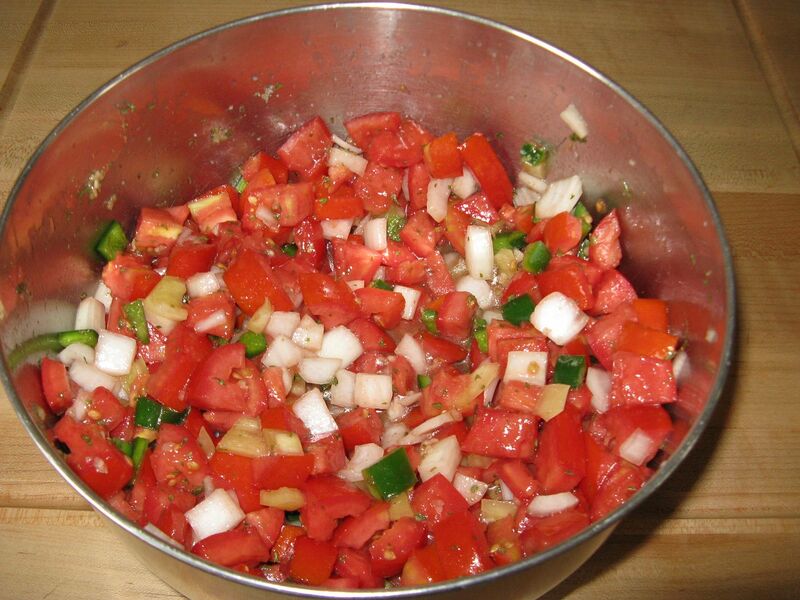 The salsa was fresh, adding a nice heat and slight tang to the overall dish. The queso blanco added a creamy component that you would expect from a Mexican cheese. These tacos were outstanding. We will be making these again for sure. The key is your home made salsa. Your salsa would make any dish a winner. I do like our salsa. When I get to the bottom of the bowl, I put crushed tortilla chips in the bowl and eat like cereal.